Intended to make a feature of a sempervivum or alpine. 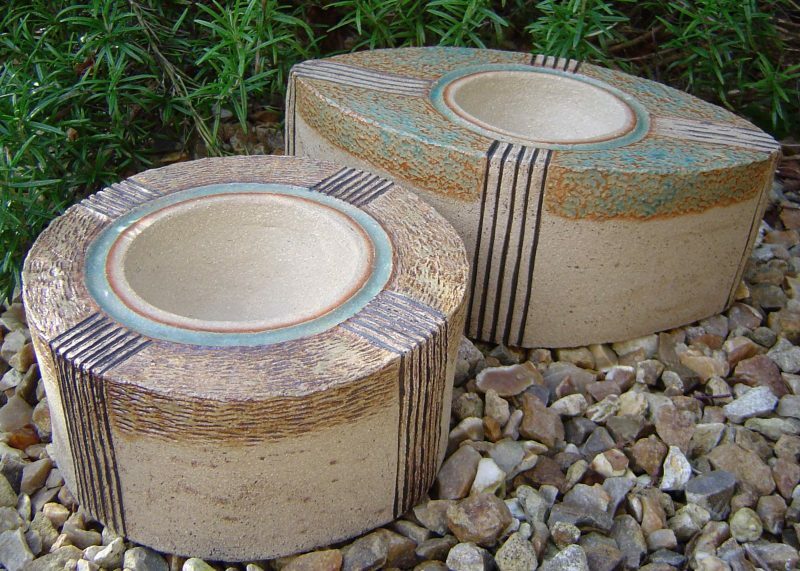 Incised lines emphasise the inset planting bowl. The top of the planter is textured and lightly glazed.